W. W. Norton & Company, 9780393323542, 256pp. 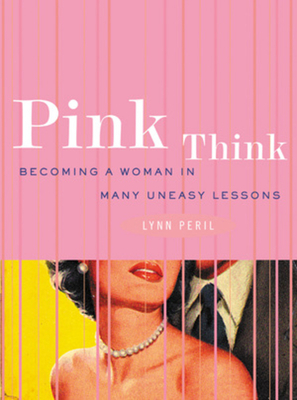 Deluged by persuasive advertisements and meticulous (though often misguided) advice experts, women from the 1940s to the 1970s were coaxed to "think pink" when they thought of what it meant to be a woman. Attaining feminine perfection meant conforming to a mythical standard, one that would come wrapped in an adorable pink package, if those cunning marketers were to be believed. With wise humor and a savvy eye for curious, absurd, and at times wildly funny period artifacts, Lynn Peril gathers here the memorabilia of the era --from kitschy board games and lunch boxes to outdated advice books and health pamphlets--and reminds us how media messages have long endeavored to shape women's behavior and self-image, with varying degrees of success. Vividly illustrated with photographs of vintage paraphernalia, this entertaining social history revisits the nostalgic past, but only to offer a refreshing message to women who lived through those years as well as those who are coming of age now.